Some residents get free rides! Contact James at Mendham Mill - a fabulous holiday home over a river on 01379 855 282 or complete the enquiry form. 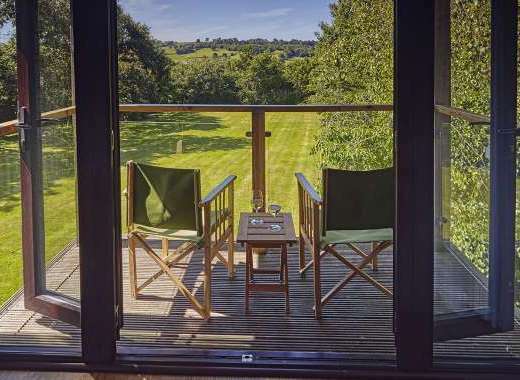 Five award-winning (VisitEngland Gold Award) beautiful, individually designed cottages ranging in size from one bedroom to four bedrooms set in nearly 8 acres of grounds in a famous and historic watermill. Each cottage has a private garden (The Lodge (sleeps 4) and The Miller's House (sleeps 8) have gated gardens for child safety). Extensive private coarse fishing on the main river and mill stream (during fishing season). Canoes and rowing boat available for guests to explore the River Waveney (which forms the Norfolk / Suffolk border). All cottages are 'No Smoking'. 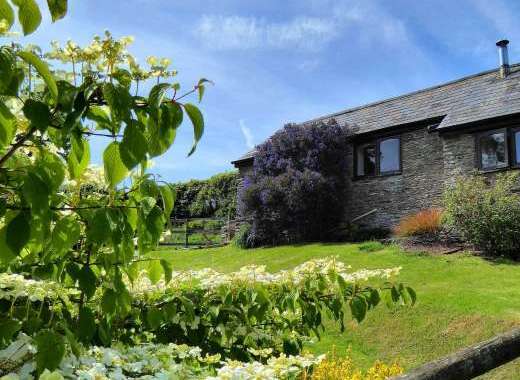 Each cottage is fully self-contained with independent hot water, heating, washing machine etc. WiFi internet access in all cottages. 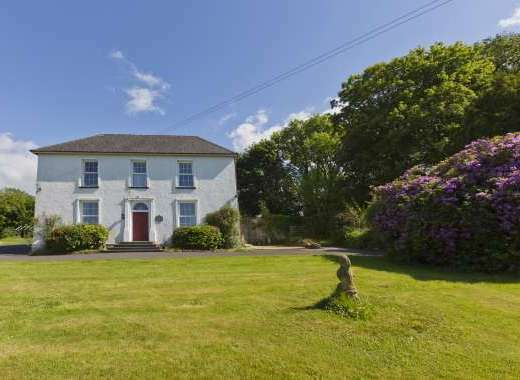 The Miller's House: sleeps up to 8 in 4 bedrooms (3 bathrooms). Beautiful views over the river from the first floor living room. The secure terrace makes it child and dog friendly beyond which are further private gardens. 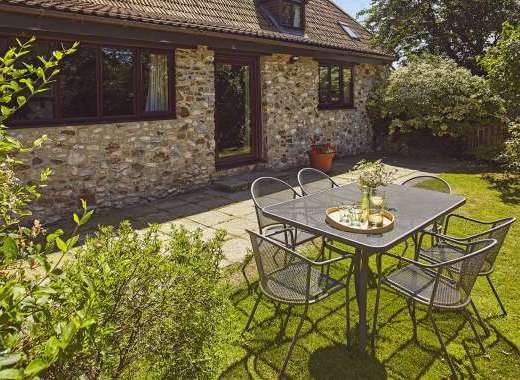 North Meadow Cottage: sleeps 6 people in 3 bedrooms. Fully wheelchair accessible. The Lodge: sleeps 4 in 2 bedrooms. A huge 1/2 acre walled garden (the original kitchen garden with old-fashioned roses, fruit trees etc), child and dog friendly. 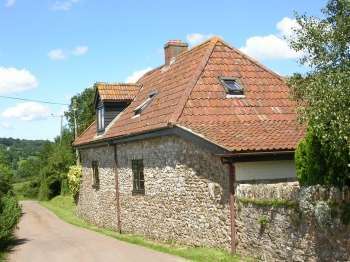 Mill Race Cottage: sleeps 4 in 2 bedrooms. Beautiful river views from the first floor living room. The garden of this cottage has direct river access making it less suitable for very young children or dogs. The Nest: sleeps 2 in a one bedroom cottage. There is a 6'5" Kawai grand piano in the sitting room. A private terrace directly overlooks the river (fish from your terrace if you wish!) making it less suitable for guests with dogs. Private terrace or garden and access to over 8 acres of landscaped gardens. Availability and pricing per cottage can be viewed by visiting our website. Please call for pricing for a group booking. The prices shown are per cottage. The beautiful Waveney Valley is on the Norfolk/Suffolk border, offering easy access to the Norfolk Broads, Southwold and the east coast beaches. It is 18 miles south of the City of Norwich. Please visit the owner's website to find out more about the holiday cottage, amenities, surrounding area and places to visit in Norfolk. Mendham Mill is a good base from which to explore the attractions of East Anglia. Suffolk and Norfolk including the Waveney valley have numerous historic towns and villages with olde worlde buidlings and centuries old inns and churches. Visit Bungay with its ruined castle and Georgian centre just six miles away. Spend an afternoon at the Norfolk and Suffolk Air Museum at Flixton. The pretty market town of Beccles is only 20 minutes away. In the town of Beccles, the River Waveney links in with the rest of the Norfolk Broads network. This was the childhood home of artist Sir Alfred Munnings PRA (1878-1959). While staying here, you can visit the Munnings Museum and see paintings which he painted in the grounds of the mill. Recommended Places to Visit: Seaside towns on the Suffolk and Norfolk coasts such as Southwold, Dunwich and Aldeburgh; Minsmere RSPB, Thetford Forest for forest trails and mountain biking. Recommended Places to Eat Out: Many excellent local pubs with food are dog and child friendly too. Renowned Fox & Goose at Fressingfield is only 4 miles away. Excellent shopping in Harleston (2 miles) with choice of restaurants too. Local Sports: Canoeing and river fishing from the property on the River Waveney, golf, walking, mountain biking in Thetford Forest and the numerous cycle trails. Horse riding and outdoor painting tuition by arrangement.